The festive season is upon us! Visitors to and residents of Roseville have lots to look forward to over the coming weeks of the holiday season. The whole community has already made a great start in creating a holiday atmosphere, and the fact we lit our Christmas Tree on December 3rd lets you know that the big day isn’t too far away. Even better news is that they’re actually forecasting snow for Placer County this year, so we might actually get to enjoy a white Christmas! If you’d like to combine a pancake breakfast with a visit to Santa, then you’ll need to come along to the Breakfast with Santa event at the Roseville Sports Center on December 5th. You even get to learn how to make crafts in the elves workshop. Children of all ages are welcome. There’s nothing quite like watching Charlie Brown, Snoopy and Peanuts struggle with the meaning of Christmas to create the warm, fuzzy feelings that Christmas should give everyone. Now you can see this story come to life thanks to the Roseville Theatre Arts Academy performances at The Historic Roseville Theatre on Vernon Street. Your entire family can enjoy this adaptation at 11am and 2pm every Saturday until December 19th. Tickets are available on the door at the Roseville Theater, but quick movers can get them online for just $8. The annual native craft fair takes place on December 5th, between the hours of 10am and 3pm. If you’re looking for a truly unique gift for a loved one, you’ll find something on offer from the twenty Native artisans. Tribal drumming, singing and music will keep you entertained while you shop, and you can also take advantage of the ample free parking on offer. Want to take a look at the winter wonderland one family has managed to create inside their own home? If that’s the case, you have the perfect opportunity to view the McMichael family home and everything they’ve done with it to bring the Christmas spirit to life on Dec. 5. A pair of life-sized Santas helps to create the right kind of ambience, of course. The City of Roseville managed to convince Santa to spend some extra time with us, even though it’s his busiest time of the year. Your neighborhood might just get a visit from Santa himself sometime between December 7th and December 18th. If the weather is really bad, Santa might not make it to some neighborhoods, but he promised us he’d try his best. 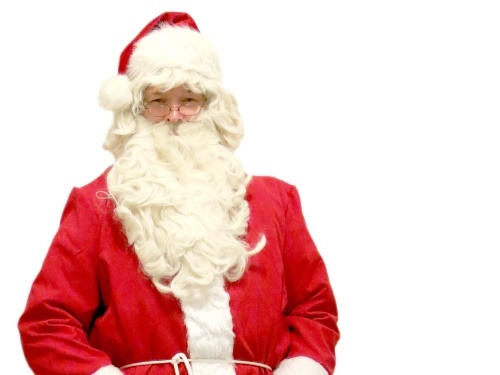 We’re keeping Santa very busy this year, and he’s agreed to attend the ‘Santa In The Park’ event on December 12th. Even better is that he’ll be arriving on a fire truck at around 1:30pm that day. Be ready for the Santa Express Train, snacks, punch and live entertainment. The Lincoln Semper Fi Association has left over 200 collection boxes in key locations around Placer County to collect gifts for children in need. You can place your gift in any of these boxes until December 18th, and they’ll ensure lots of kids get the Christmas they expect and deserve, all thanks to you. There are lots of other Christmas events taking places in Roseville, but the above are the main ones you should definitely to add to your timetable. We just love Christmas, don’t you?